February 14th is only a few days away, and that means that Madtini Labs is awash in feelings of love, affection and inappropriate suggestions… which in reality is nothing that unusual for the weekend. 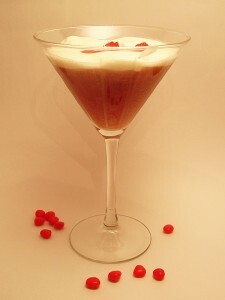 So, white our HR department deals those pressing issues we’re posting our collection of 6 Kissable Cocktails for St. Valentine’s Day. 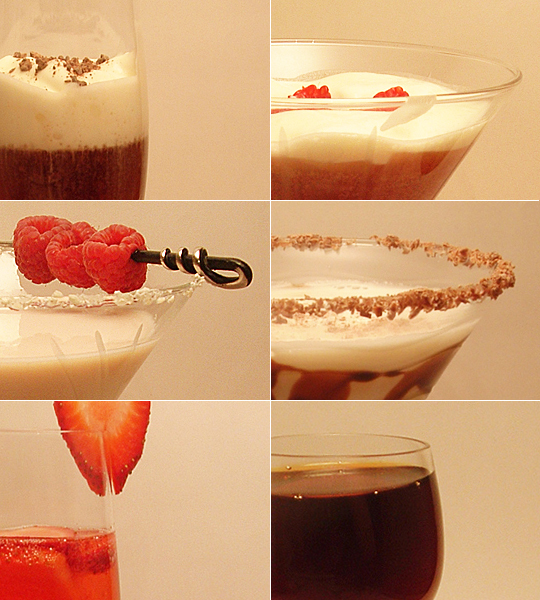 We noticed once we had narrowed our choices down, there seemed to be an obvious focus on dessert inspired cocktails. That’s not necessarily a good thing for our already tenuous grip on a few of our new year’s resolutions. 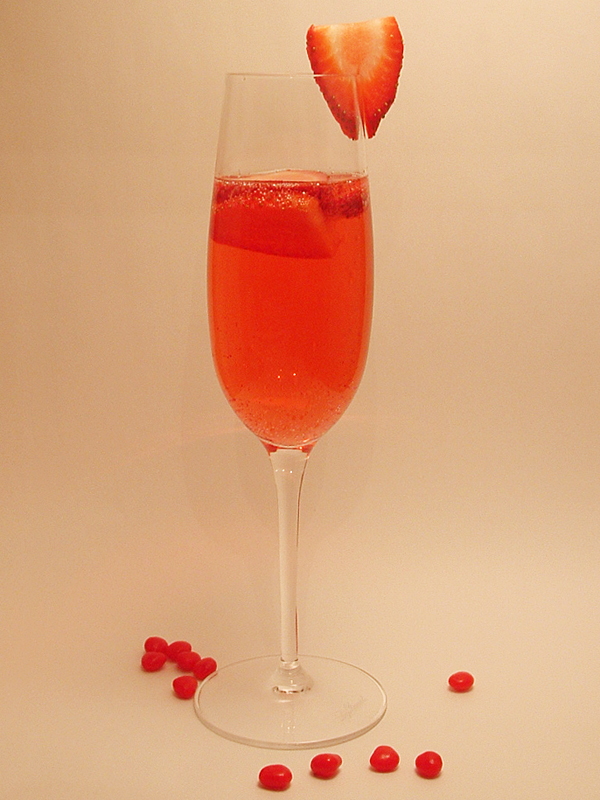 Cheers and Happy Valentine’s Day from the team at Madtini. 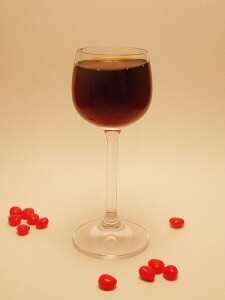 Combine the vodka, Kahlua and Chambord in a cocktail shaker with 3-4 ice cubes. Shake well and strain into a chilled cocktail glass. Top with whipped cream and chocolate shavings. 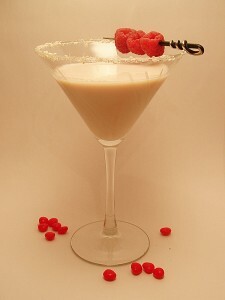 Pour the Raspberry Liqueur, Vanilla Vodka, and Creme De Cacao into a cocktail shaker filled with ice. Shake and strain into a chilled martini glass. To make this into a true dessert, add a dallop of whipped cream topped with fresh raspberries. Wet the rim of a cocktail glass and roll the edge in white chocolate shavings. Place 3-4 ice cubes in cocktail glass in place in the freezer. Combine the tequila, creme de cacao and chambord in a cocktail shaker with 3 ice cubes. Shake for 10 seconds. Add the double cream and stir well. Remove glass from freezer and strain contents of shaker into it. Skewer 3 fresh raspberries and serve. Chill two champagne flutes. Combine the vodka and wild strawberry liqueur in a cocktail shaker with 3 ice cubes. 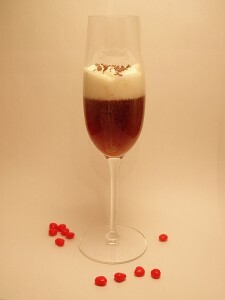 Shake for 6-7 seconds and then add to the chilled flute glasses. Add Prosecco and garnish with several fresh sliced strawberries. Serve, savour and enjoy. Combine the Jagermeister and Creme de Cacao in a stemmed shot glass. Add a splash of Malibu Coconut Rum and Butterscotch Schnapps and you’re ready to roll. 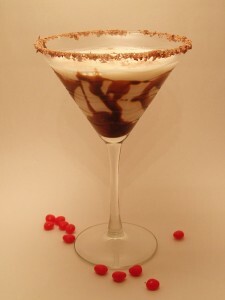 Add a few flakes of chocolate to garnish.